I’m looking forward to your coverage of these events. I’m happy to see the right kinds of tech culture propagating! 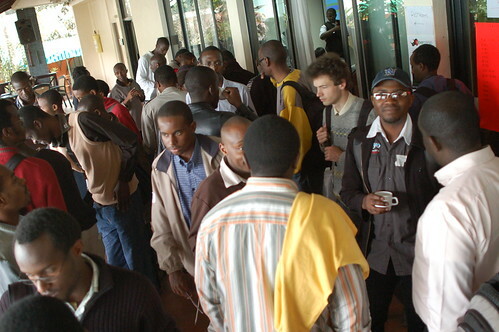 Look forward to livestreaming barcamp Africa. It is certainly hotting up in Africa on the tech scene. fascinating blog. tech is definitely an up and coming industry here in Dakar. Great stuff! Also don’t forget about the Geek Dinner events in Cape Town and the Geek Breakfasts (no link yet) we have in the Garden Route. Will ping you next time we have a Geek Breakfast here.